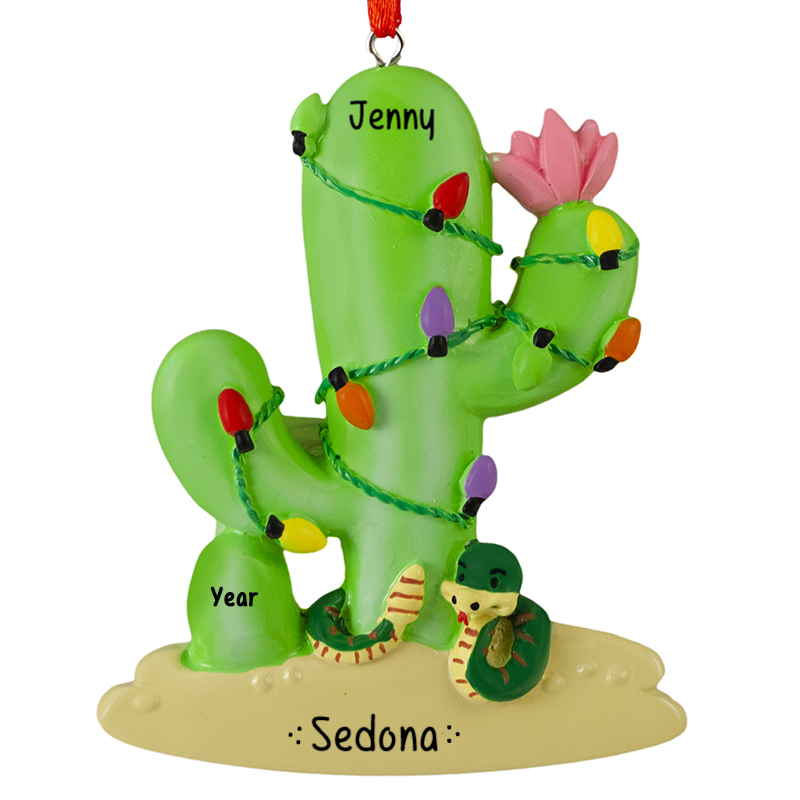 Celebrate a fun trip with our Cactus Christmas Tree Souvenir Ornament. Our item features a festive saguaro cactus. Did you know that we personalize ornaments for free? Purchase your keepsake today so that you can give the perfect gift this season!